The news that Wilhelm Stäglich has died at the age of ninety, which was reported via the Adelaide Institute and which Sergey posted about below, should remind us of one perhaps surprising feature of Holocaust Denial: its major proponents are increasingly aged. Much like members of the British Conservative Party, the average age of Holocaust Deniers is trending rapidly towards deceased. So why is Holocaust Denial such a hoary, creaking movement? Perhaps because its exponents almost exclusively date their vintage to the years before the collapse of Communism. Like McCarthyism, Holocaust Denial is a Cold War Moonbat Thing... and the younger generation doesn't really want to play along with Grandpa. As Deborah Lipstadt so admirably laid bare in Denying the Holocaust, the roots of US 'Historical Revisionism' go back before the Second World War to a coterie of isolationists and First World War revisionists. For many on the extreme right, Holocaust Denial became increasingly attractive after 1945 in a climate of intense hostility towards the Communist Menace, a bugaboo that had deep connections with earlier antisemitic linkages between Jews and Bolshevism. While the mainstream right ditched its earlier antisemitic suspicion of East European immigrants, an attitude ably documented by Joseph Bendersky in The 'Jewish Threat', the far right persisted in making the supposed 'link' between Jews and Communists. That this 'link' simply did not exist by the 1940s is apparent to anyone with the slightest understanding of Eastern Bloc societies as they actually were: Poland hounded out almost all of her surviving Jews in an antisemitic purge during the 1960s, and Soviet Jews were increasingly repressed and excluded from positions of authority, while at the same time, the USSR kept up a steady barrage of 'anti-Zionist' propaganda. Yet Holocaust Deniers ignored all that. They preferred to hark back to the simpler days of equating Judaism and Bolshevism. To them, the Holocaust was 'Made In Russia', as Carlos Porter canonically defined it. For it was Soviet participation in Nuremberg trials, and the fact that the worst crimes of the Holocaust were committed behind the Iron Curtain, that gave Holocaust Denial the opening it needed to push its theories on a small but extremely gullible audience during the Cold War. Given Soviet show trials in the 1930s, and the attempt to pin the Katyn tail on the German donkey at Nuremberg, they even had a superficially plausible case, if they could somehow ignore the contradictions in their own theory. Alas for Holocaust Denial, detente in the 1970s and the 1980s gave increasing access to Western scholars to the East European archives, large chunks of which soon found their way on microfilm to Yad Vashem and, later on, the US Holocaust Memorial Museum. Pioneering researchers such as Gerald Fleming and Jean-Claude Pressac even managed to secure early access to the archives on the spot. West German prosecutors had gradually received more and more information from the East European archives and war crimes investigations beginning in the 1960s, but now it was possible to see these same documents in their original files and original context. Soviet Jewish emigres brought with them personal knowledge and family histories which stimulated greater and greater interest in the Holocaust in the Soviet Union itself, a subject which had been essentially taboo, smothered by the rhetorical cliche of 'peaceful Soviet citizens and victims of German-fascist aggression'. In Sovietology and East European history, too, the generation that had espoused 'totalitarianism' theory gave way to a younger cohort of scholars, ironically also labelled revisionists (with a small r), that rejected the black and white judgements of the 1950s in favour of a more nuanced understanding of what made Soviet and East European society. And then it all ended, in the few short years between 1989 and 1991. The collapse of Communism lifted the last remaining taboos in East European society, allowing a generation of scholars such as Franciszek Piper to revise official dogma and present accurate facts on the fate of the Auschwitz inmates. Western scholars trooped en masse to the Osobyi Akhiv in Moscow, to the AGK in Warsaw and to the killing sites of the east, sometimes for purely historical research, sometimes as official historians of war crimes investigation units. 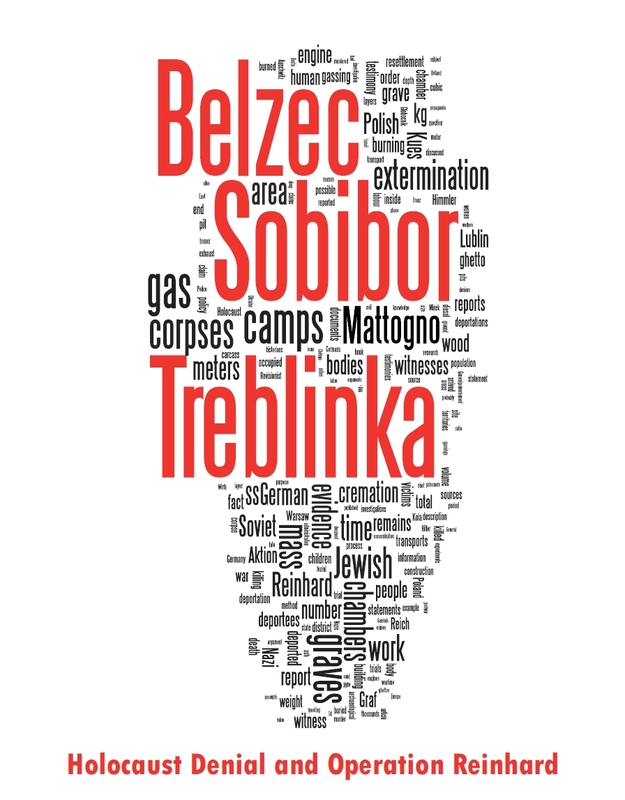 Mass graves were excavated and uncovered, camp sites surveyed, books written and published, and soon enough websites spawned on the internet, detailing the evidence for the Holocaust in an apparently endless torrent. To be fair, some Holocaust Deniers tried to keep pace with these developments, even venturing out to the Moscow archives themselves (Irving, Graf, Mattogno). Yet it remains the case that the overwhelming majority of deniers are stuck in a 1940s, Nuremberg-fixated time-warp. Even the best 'scholars' on the denial side are usually two methodological generations behind contemporary practice of history, and generally only dimly aware of the latest research. Encounter a denier today on an internet forum, and dollars to doughnuts, they will bring up ancient cliches such as the 1945 Soviet estimated death toll at Auschwitz, unaware that the rest of the world has quite simply, moved on. That Holocaust Denial has largely been a Cold War phenomenon is amply indicated by the vintages of the most prominent published deniers. Judging by the listings on revisionists.com, IDGR Lexicon and good ol' Wiki, and taking the entries as indicative of their status in the movement, there are 8 prominent deniers who are under the age of 60, versus 26 over 60, and 19 who are dead. Another 8 cannot be identified by age, but from their photos mostly look like they're signed up for their bus passes and pensions. Even one of the youngest deniers, Germar Rudolf, now 42 years old, was already twenty-five by the time the Berlin Wall came down, had long done his stint in the Luftwaffe, acquired most of his higher education and, evidently, his political beliefs and outlook. This was the man who was hailed as a 'young scholar', the Great White Hope of 'Revisionism', yet even Rudolf is essentially rooted in a pre-1989 mentality and outlook that looks fairly irrelevant to the concerns of 2006. So where are the 'revisionists of the second generation', to turn AAARGH's lame criticism of this blog back at them? So far as we can see, they're nowhere. Even at The Cesspit, it's very quickly clear from off-the-cuff remarks they make about life in the 1960s or 1970s, that the majority of regular posters are well into middle age. Nor are more than one or two seemingly capable of stringing so much as a paragraph together: where, then, will the next generation of revisionist 'scholars' come from when the current cohort die off? The fact is, Holocaust Denial has always been founded on the blind adulation of prophets, gurus and lone-wolf writers. While that might strengthen its coherence in the short term, it now looks increasingly like a drawback in the long run. Holocaust Denial resembles a bizarre cult, whose high priests are entering their twilight years while their adoring audience is in turn passing into middle-aged pig-headedness. Perhaps, then, this is why Holocaust Deniers are always predicting the imminent collapse of the 'Hoax': because their time is running out. Otherwise, they will go to their graves knowing their conspiracy theories have failed. I think Walus is at best a "fellow traveler", let's not include him. I agree with the importance of the Cold War mentality in Revisionism. However, old School Revisionism was once a credible impediment to Globaloney, American Interventionism, and the Democracy-Capitalist imperative itself that must expand financial markets and the Word of Jesus until there is nothing left but an ignorant shell and nowhere to go but bankruptcy. Is it really any surprise that establishment intellectuals do not address the core systemic problems, let alone proffer proactive solutions? If the Romans kept the urban proletariat in order with Bread & Circuses, is modern citizenship not unlike the obese patient eating his way toward death to avoid unhappiness, or the Red Chinese workers and peasants breathing clouds of deadly coal-fired smog in the desperate scramble for industrial modernization? American couch potatoes see the world through the cathode ray lens of their own Holy mythologies, and they like to be told that their government is spreading their way-of-life among all nations, kindreds and tongues. The Holocheese, hallowed are they who Believe. and of course, Russian deniers are indeed another topic. We don't know whether he was one himself, and if he was, he was not of a "researcher/publisher" type, i.e. not what we need. 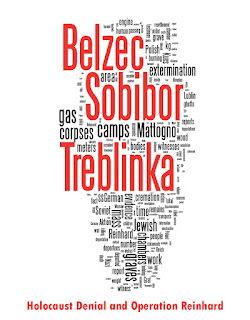 I think that the young generation of neonazis simply does not bother to deny Holocaust. Not in Poland. They cheerfully acknowledge it and ask for more. BTW, to stay on topic: how old are you, Scott? I think I'm 44 now. I stopped counting awhile back. I will always be just a humble, lovable shoeshine boy. The picture of me at RODOH as the blond kid on a camping trip in Colorado was taken in August of 1967. John Toland addressed an IHR convention once, and his biography of Hitler was reasonably fair; that alone would make him a Denier pariah in the Lipstadtian monoverse. To the best of my knowledge, Konkin was *not* a Holocaust denier. He was an anarchist who drew heavily from the work of LEFT revisionists and thus worked with the IHR out of an interest in revisionism as a *methodology*. Sam Konkin was NOT a Holocaust denier and I'm still waiting nearly a month later for some sort of reply. Sorry for the lack of response, we've shifted systems for comments coming through. He was a good friend of the Institute for Historical Review. He presented a paper at the Third IHR conference (1981), contributed to the IHR’s Journal of Historical Review, and for years was a member of the IHR Journal’s Editorial Advisory Committee. At the very least, it makes him a fellow-traveller and useful idiot of HD. Konkin's name will be removed if this list is used anywhere else, and the numbers adjusted, but I am not going to remove it from the above post. He's on revisionists.com, and was on the IHR board. That places him considerably more to the denier camp than the deniers claiming AJP Taylor as one of their own. The impending approach of personal old age and death is probably a big factor in these guys' pronouncements that the end of the Holocaust/World is at hand...and their fervent anti-Communism. Not all of them are grey and hoary and bitter. There are those that are just plain young and dumb. Of course not prominent authors of books or frequenters of forums like RODOH. There quite a few of them a little here and there. As a WW2-interested person, I run across them at an alarming rate. Maybe I need new interests.